City of Pancevo is the lead partner in the project “Banat sun for all-Pilot project for promotion and implementation of solar energy for water heating” which is funded by the European Union through the Romania – Republic of Serbia IPA Cross-border Cooperation Programme. 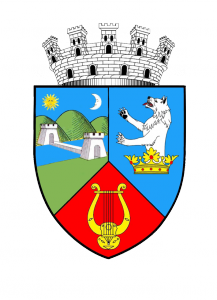 City of Pancevo and Municipality of Lugoj, the partner from Romania have applied for funding of this project in 2011 on the second call for proposals of this program for the financial period 2007-2013. 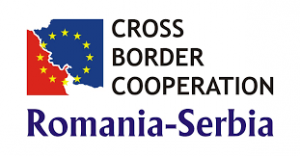 The project falls under Priority 1 – Economic and social development, measures 1.4.- Support increased levels of research and development in the border region. The project was on the reserve list waiting as part of this program funding period up to 29.09.2015. when the city of Pancevo was informed that the project was accepted under changed conditions. The change applies to the period of implementation of the project which has been reduced from 24 months to 12 months and the amount of donor funding that is defined by the program as maximum 85% but for projects from the reserve list is 75,58%. The project is in accordance with the Development strategy of the city of Pancevo for the period 2014-2020. within the framework of the strategic priorities 7. Raising the level of energy efficiency and use of alternative energy sources. The project aims at improving and modernizing the heating system, through research possibilities of using renewable energy sources in Pancevo and Lugoj. On the project Pancevo improves and modernizes its heating system by setting up a system of solar collectors, energy is used for water heating. Also, provides continuous monitoring of the practical application of the pilot system. Lugoj will develop a number of technical documents for 7 buildings for energy efficiency and renewable energy sources. The main significance of this project is that it will reduce pollution, promote sustainable production and consumption and to raise awareness about the importance of renewable energy sources. The use of renewable energy for substitution of gas related to the production of hot water will bring savings of energy for this purpose in the amount of 49% In Pancevo. The total value of the project budget is €854.941, Pancevo € 674,760.00, Lugoj € 180.181. The expected results are: developed technical projects, prepared the land for the panels in Kotez 2, set the steel structure and the construction of solar panels on an area of 906 m2. The system for monitoring will be located in the room heating. and co-financed by the partner states in the programme.